Old City, old story: a case for eviction in Jerusalem? Nora Sub Laban was born in 1956 and has lived in her home in the heart of the Muslim Quarter of the Old City all her life. Her family has lived in this house, since 1953. Now, she tells us, Israeli settlers are pushing for her eviction so that a Jewish settler family can move in. Nora, lives here with her family of nine, including grandchildren – they are the last remaining Palestinian family on the street. 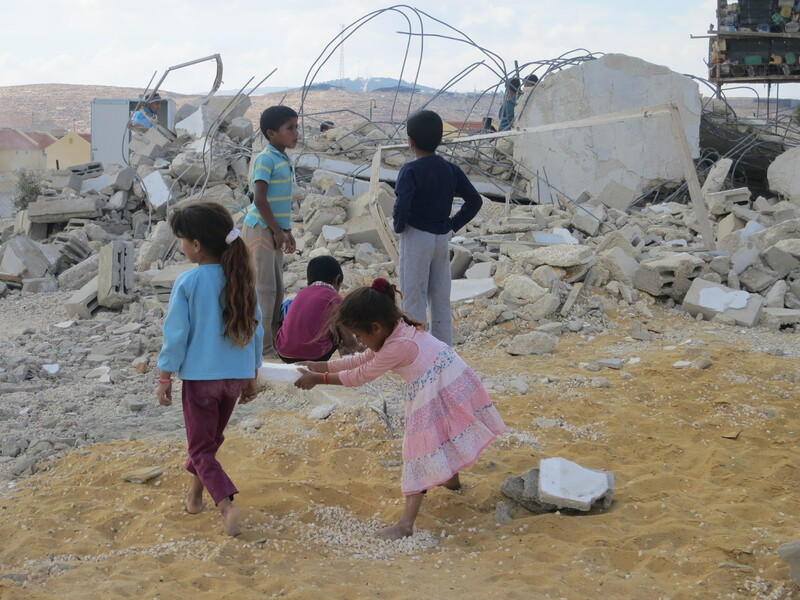 In the midst of bedouin communities facing displacement, one village will receive a school for its children. The community of Jab’a is surrounded by busy roads. Photo EAPPI/P. Buckley. Today few Bedouins who live in the countryside to the East of Jerusalem are able to continue their semi-nomadic lifestyles, as they have been moved to designated areas not suitable for herding or farming. They are restricted by fences, Israeli settlements, poisonous waste from settlements – not to mention obstacles like busy motorways. This is the story of a small community fighting for their land and for their children’s education, giving a glimpse of hope in the often bleak reality. 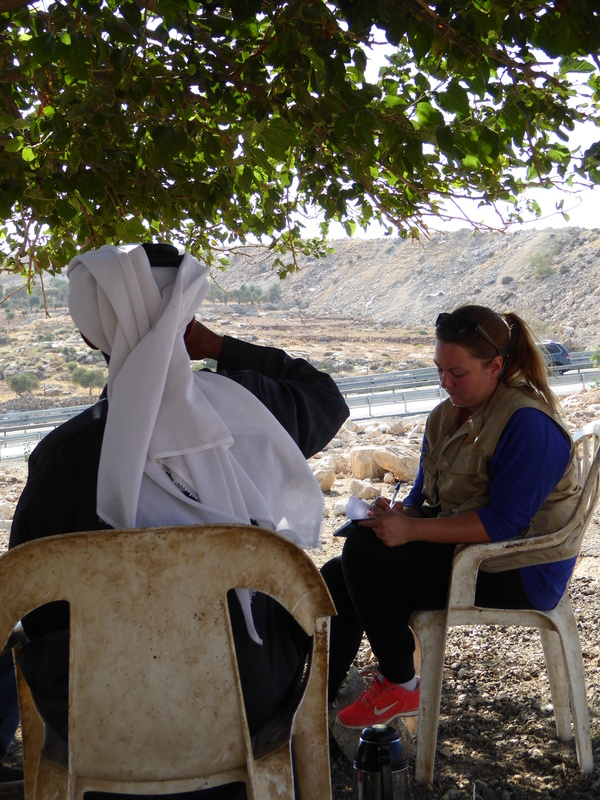 The tribe of A Ka’abneh that EAPPI supports has been separated by these obstacles from the rest of the Jab’a Bedouin community to which they belong, and their smallest children face a journey to school so challenging it can scarcely be imagined. According to a UNDP Report, education in Palestinian bedouin communities often suffers because of the poor environmental conditions and educational quality, often stemming from restrictions of the Israeli occupation. This results in a high percentage of school dropouts and a correspondingly high rate of illiteracy, especially among females. 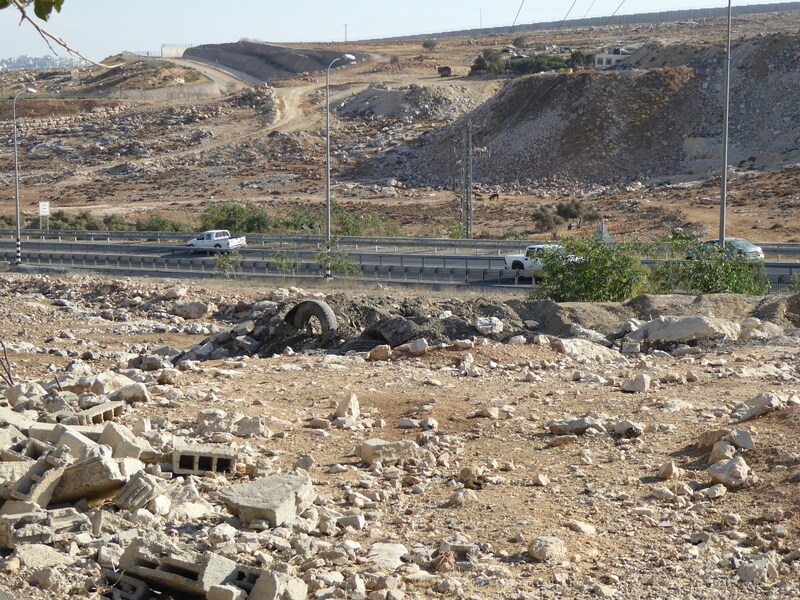 The small community of Ka’abneh is to be found squeezed in between fences, the Israeli settlement of Adam and a motorway intersection. As guests, we are made welcome amidst the poor houses, ruins of demolished houses and tent constructions. While we are seated under a dusty olive tree drinking a never-ending supply of sugary mint tea, it is impossible to ignore the roar of the cars speeding by. The contrast between the traditional garments of the mukhtar – the village leader – and the hypermodern surroundings that suffocate the village highlights the tensions they live with. This is far from the traditional picture of Bedouin life that most of us have. An EA listening as Mohamed Ka’abneh outlines his plans. Photo EAPPI/P. Buckley. After meeting with the village leader Mohamed Ka’abneh we are shown the pipe. Yes, that is correct, the pipe, that children crawl through to cross under one of the busy main roads that surround the village. The alternative is to dodge through the speeding traffic. Each day they pick their way through garbage, scorpions and mud to get to school. So far “only” one child has been bitten by a snake. The children willingly show us their difficult way to school through the pipe, and as we wander back towards the site of what will become their new school, they burst with excitement. 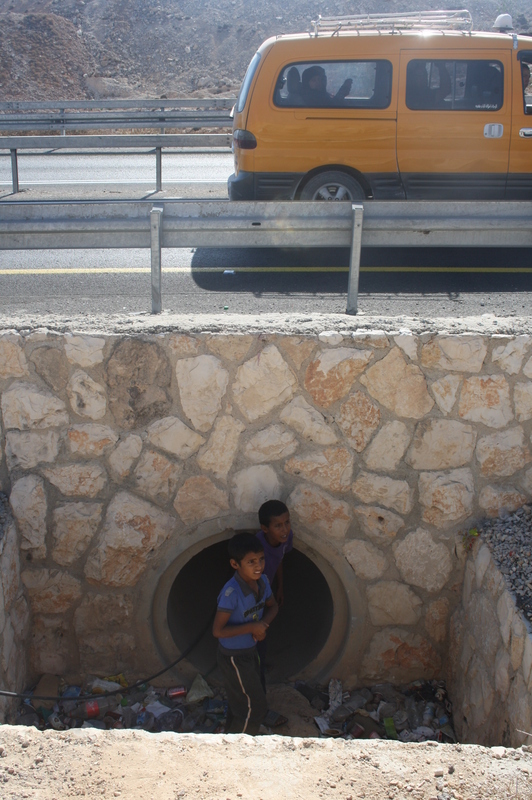 Daod (12) and Ahmad (8) emerge from the pipe under the busy road. Photo EAPPI/ML. Kjellstrom. For years Mohamed has worked to raise funds for a school bus but without success. He later realized that it would be better to get a school for the community. Finally, with the support of the European Commission through an international NGO, a school has been promised. As they had already waited to get a school bus for such a long time the community joined forces to speed things up and each family gave a couple of hundred shekels to level the ground for the new school. Jab’a community is surrounded by busy roads. Photo EAPPI/P. Buckley. Most of the houses in the village have demolition orders pending and they fear the school may be demolished or dismantled, even before it has started to operate. So they have asked EAPPI to provide a protective presence and they want as many internationals as possible to be present in the coming weeks to deter any demolition. EAs encounter many communities and people who are in a demoralizing downward spiral of demolitions and evictions, that any sign of progress provides a welcome relief. And currently the situation in the Ka’abneh village offers a ray of hope, in a very challenging time. The school will enroll 50 children from the age of six to twelve, and teachers from outside the community will start teaching as soon as the classrooms are ready. The children, the community and EAPPI await with excitement the first day of classes in the new school. This time there will be no pipes and no mud to crawl through. 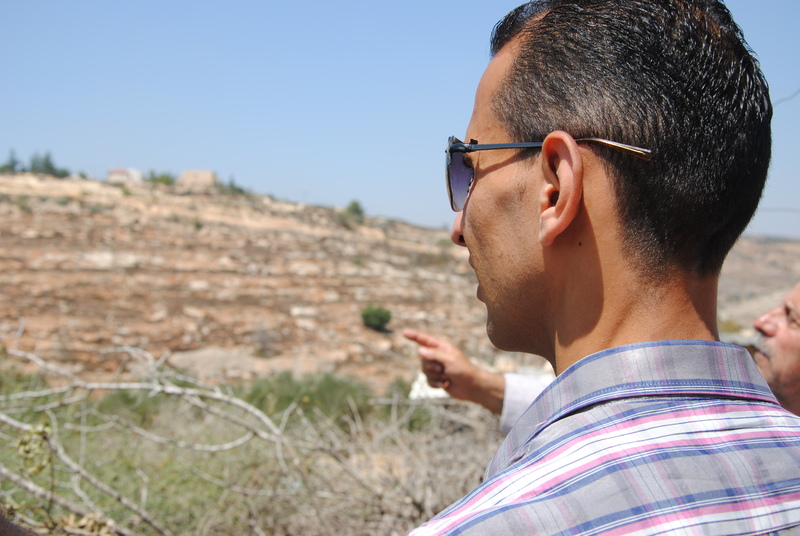 * Read more about the struggles of the bedouin in the E1/Jerusalem Periphery.